In this contribution the author checks the usefulness of the concept “appropriation” (in Dutch: toe-eigening) as defined by Frijhoff in 1997. Appropriation is the attribution of a meaning (personal and group-linked interpretation) to cultural phenomena after an experience of surprise, alienation or illegally taking possession of. 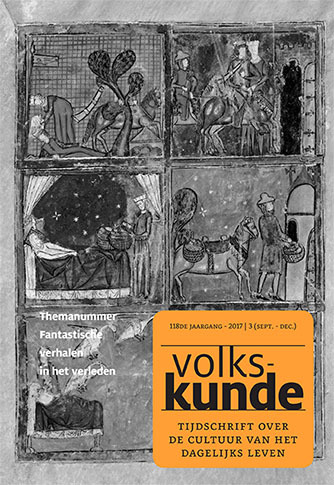 The author works out how in Flanders during the period 1830-1930 appropriation processes took place in the field of some folkloristic topics such ad: popular medicine, superstition, popular devotion, puppet shows and popular art. This article illustrates some of the methodological and heuristic difficulties historians of material culture have to overcome in order to apply the appropriation concept in their field of study. Especially the abundant probate inventories have to be dealt with extreme caution. Yet, they sometimes reveal an invaluable vocabulary sensitive to the consumer attitudes towards objects. In addition, appropriation might also be a misleading concept. The question to what extent symbolic meaning is also shaped by material constraints will have to be solved, as is suggested by the cultural changes accompanying the arrival of hot drinks. Moreover, in the end, decoding mechanisms of appropriation is not the ultimate goal, only the beginning of a more ambitious program of reconstructing and explaining culture as a process. 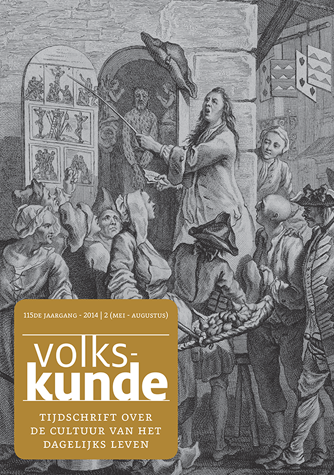 Research into the Antwerp Rubens cult, with the raiding of the statue of Rubens (1826-1843) and the Rubens festivities of 1840 and 1877 as a key factor, has made obvious that appropriation as a collective strategy played an important role in the process of image and identity building in the city of Antwerp in the 19th century. Thus the appropriation to the past appeared to be a vital instrument in the development of a municipal self-image; the Antwerp political, intellectual and cultural elite after all fell back on the 16th and 17th century artistic and commercial glory, in order to nationally and internationally promote the position and the power of their municipality, and so also of themselves. The 19th century self-image of Antwerp as a metropolis of art and commerce was an ambitious perspective that took definite shape between 1835 and 1863, and like each self-image originated on the basis of the perception of the past and of the nowadays needs and challenges. Furthermore outsiders were supposed to confirm and spread the propagated image. Appropriation was also of a great importance in the recognition and acceptance of this self-image created by several municipal subgroups. As well in 1840 as in 1877 the existing ideological, social and linguistic splits appeared to be a not insurmountable obstacle for the development of a common identity feeling. Whether and to which extent this municipal self-consciousness expressed itself in the everyday behaviour of the Atwerp population could by no way be traced back on the basis of the existing source material. The Antwerp population, however, appeared to be insufficiently qualified or prepared to add the desired lustre to the propagated self-image in 1840 as well as in 1877. Eventually on municipal level appropriation also worked as a kind of mutual strengthening mechanism between local and national consciousness. The raising of the statue of Rubens and the Rubens festivities of 1840 and 1877 were municipal activities which first and foremost aimed at promoting the municipal interests, but they as greatly contributed to the identification of the Belgian state and the dissemination of the national consciousness. The young Belgian nation tried to shape and popularize her past during the national celebrations. The own past formed an essential unit of the national identity and was supposed to legitimize the existence of a nation-state. The cult of the 1830 revolution, considered both as an end and a highlight of national history, was given a prominent place. By the end of the 19th century also the Walloon movement, the Flemish movement and the socialists focused on the 1830 struggle for freedom. The battle for the heritage of the September days could start. In this article the sphere of influence in which the devotional text “Twaalf Deugden” originated is reconstructed. Special attention is given to the mechanisms of appropriation that were active at the time of the coming about and the processing of the text. Godfried Wevel is sent out by Groenendael to form the new Eemsteyn foundation. In the scope of this mission he writes “Twaalf Deugden”. The “minor” author Wevel found inspiration with two great authorities. He constructed “Twaalf Deugden” according to the pattern of the genealogy of virtues in Ruusbroec’s “Geestelijke Bruiloft” (Spiritual Wedding). Halfway the text Wevel abandoned his starting point and, without mentioning any source material, picks up Eckhart’s “Geestelijke Onderwijzingen” (Speritual Teachings) as a guideline. This technique of appropriation leads to the fact that in “Twaalf Deugden” two mystic paradigms silently intermix. Lexical analysis shows that the so-called “dynamic” Groenendael mysticism, which Wevel was supposed to disseminate at Eemsteyn by the introduction of “Twaalf Deugden” is undermined by terms expressing Eckhart’s essentiality mysticism. “Twaalf Deugden” was often copied in the circles of modern devotion. So unexpectedly “Twaalf Deugden” became a vehicle for the dissemination of Eckhart’s range of ideas, anyhow highly difficult since 1329. Eckhart’s ideas were as well in Groenendael as within the modern devotion contested and kept quiet. Yet this concept entails the risk that only the culture of the incumbent group, not that of the newcomers or any sort of mixed forms, is taken into account, to define the process of identity, one of the most important aims of culture. So in this contribution – an introduction to a masterclass in Antwerp on this topic – we stand up for a more dynamic concept of culture which is open and can encompass all forms of culture transfer and culture transformation. Something or other is illustrated by examining the possibilities of using the concept appropriation as a means to get a better hold on the way the sectors of history deal with culture and the significance of it. The collection “Alledaags is niet gewoon. 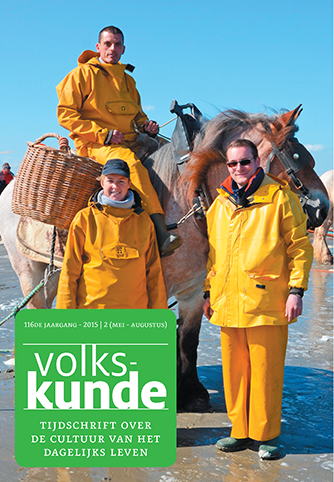 Reflecties over volkscultuur en samenleven” (Plain things are uncommon. Reflections on popular culture and society) brought out in 2002 and edited by the “Koning Boudewijnstichting” (Foundation King Boudewijn) gives a good view on current trends of popular culture pursuing in Flanders. Especially the new players get a chance: institutions or theatre companies which in an attractive and theatrical way bring popular culture into the open. Popular culture is more popular than ever. This development is favourable but also not without a risk. One of the reasons is that popular culture is assigned a community forming task and so a political dimension is added. This oftener happened in the past, but not always with good results. 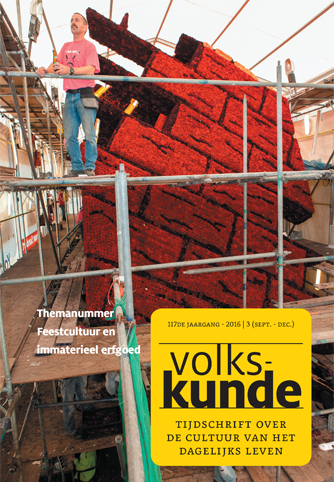 The Dutch ethnologist J.J. Voskuil already wrote in the eighties on similar developments: “Het is fascinerend, maar op sommige momenten houdt men de adem in…” (It is fascinating, but at times one hold one’s breath…). This contribution is a commentary on “Alledaags is niet gewoon. 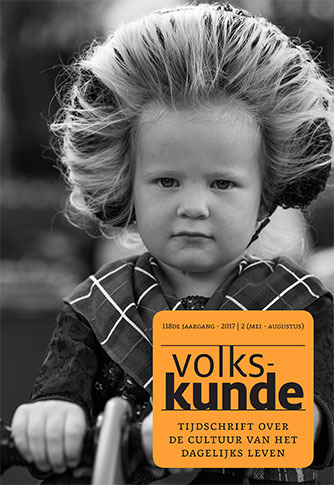 Reflecties over volkscultuur en samenleven” (Plain things are uncommon. 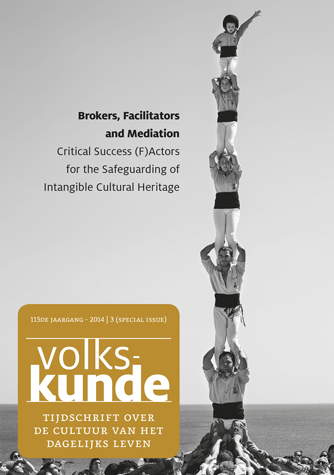 Reflections on popular culture and society), the report by Eric Corijn et al. 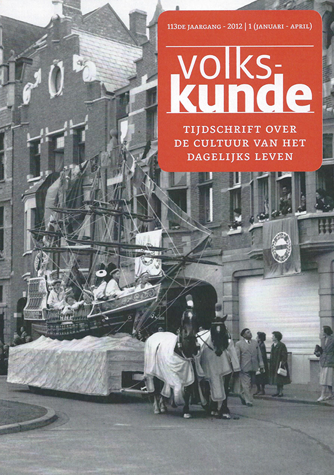 about the “current popular culture campaign”, edited by the “Koning Boudewijnstichting” (Foundation King Boudewijn) in 2002, but it can be read at the same time as a commentary on “critical tradition”. One could expect that under the “everyday culture” the average popular culture would have a place. The issue of the existing real everyday life and of the commercial mass media culture is, however, not included in the discussion of current popular culture. The authors of “Plain things are uncommon” though, are aware of the fact that popular culture is no more equivalent to rural lore; even once again it is defined as “a broad everyday culture in which everyone, elite or ordinary people, foreigners or autochtons, participate”. It is noteworthy that in the whole text of “Plain things are uncommon” not a word is said about a simple, common community worker, i.e. the social styling potential of the mass media. If there is one body which nowadays intervenes in the current popular culture and society, it is the mass media which lead the way. Even if the mass media come up in this report, then it is only because they are considered the first and foremost means of social exclusion. The examples mentioned show how the everyday use of the media, and also of semi-public means of expression, offer opportunities for emancipation. All this is simply ignored by the authors of the “Plain things are uncommon” report. We live in the era of the mobile phone; everyone wants to give a call from any place and receive a call from any place. In this contribution five social functions of the mobile phone are dealt with so as to account for its popularity. We especially examine the social functions of this device for youngsters between 12 and 19. Youngsters at this age are in great need of conforming to a group. The purchase and the possession of a “mobile” appear to be the most convenient way to reach this aim of conforming. Moreover the device serves as a clear-cut status symbol. Youngsters do not only reach this status by acquiring the latest model, but also by possessing the greatest number of entries in the phonebook. The latter after all is proof of a large circle of friends. The fifth and at the same time the last social function discussed is that of the “mobile” as a relationship manager. The mobile phone seems to play an important role in maintaining romances. At this testing plays an even greater role than phoning. In contemporary discussions on the future of public service broadcasting (PSB), there sometimes seem to be some misconceptions about the types and position of popular television genres during the hay days of PSB. Usually their functioning in PSB is described as a necessary evil, something PSB could not do without but merely tolerated. Although, as a typical project of modernity, old-style European PSB indeed showed some disdain for popular genres, entertainment was a distinct aspect of PSB’s mission and goals and was given a specific character and place in the schedule. The policy of PSB can be seen to have shaped ALL types of programmes, including different forms of entertainment, as well as their relative position within the programming schedule. So, to talk about the possible public values of popular programming in contemporary PSB may prove not such a contradiction in terminis since, in the past, PSB can be demonstrated to have had clear ideas and goals concerning its popular programmes. So, it appears that looking more specifically at the way in which popular television programmes were perceived and scheduled can indicate ways of thinking about contemporary PSB entertainment. Thus it seems that normative theories on popular television genres for PSB today, can benefit from a little hindsight. This paper will, first, look at the typical PSB entertainment genres and the goals and objectives that are reflected in their format and content. Second, it will look at the scheduling tactics and strategies that were typically used to obtain the goals and objectives, and at the specific position of entertainment programmes in this. 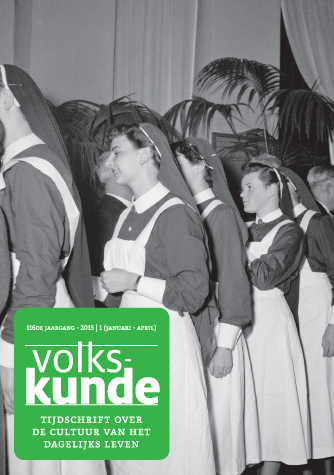 This first and second part will be based both on general observations in this regard and, at the same time, on the analysis of the programming of Flemish PSB in the period 1953-1973 as a case in point. The cultural relations between the Low Countries and Great-Britain are many and very diversified. The purpose of the present articles is to illustrate this in an unusual way by means of an English popular print. This was no doubt inspired by two Dutch master engravings dated about 1620. Both are combined in one English large-sized woodcut of about the same time. Below the cut there is an explanatory note. A unique, slightly damaged copy of this broadside, printed on one side of a single leaf, is preserved in the library of the London Society of Antiquaries. It depicts Fill Gut, an imaginary animal fat with eating good men, and Pinch Belly, “lean with want of good women”, a well-known topic which at that time was part of a widespread, antifeminist movement on the Continent and in the British Isles. in The Netherlands, based on the complaints of patients, shows a striking similarity with this sequence of parts of the body. The remaining 69 depictions in Limburg, and 46 in Altötting, as well as 663 old Greek votive offerings show a different distribution. Based on this research work, the conclusion seems to be justified to put that the frequency spread of anatomical votive offerings can be considered as an epidemiologic registration before the term existed. The study of animals in popular religious culture is still in its infancy, especially because since the 19th century a lot has changed in the methodical field. The only workable things left over from past research are a catalogue of saints invoked to safeguard animals in the farmyard against diseases and a catalogue about rituals practised in places of pilgrimage or in the farmyard. Meanwhile the research has been focused on hagiographies and on how animals appear in them. Medieval vitae with animals – in which animals play an exemplary role – were mainly meant for monastic circles, and from there some stories filtered through into popular culture in general. In monastic circles a miraculous fish catch (grafted on the miraculous fish catch in the Gospel) by one saint or another is a token of trust in God; in general popular culture the saint concerned is invoked for a good catch. A next aspect is the changed devotion for traditional veterinary saints. The cult of St Anthony abbot and of St Hubert attracts crowds that otherwise never go to church. Pilgrims have become spectators. But also the animals have changed at these occasions. In the devotion large animals of the farm have been replaced by pets. Moreover these pilgrimages have developed into folkloristic events that have nothing to do with the traditional pilgrimage.The genuine places of pilgrimage people went to for anima welfare until the Second World War, have all been petered out. 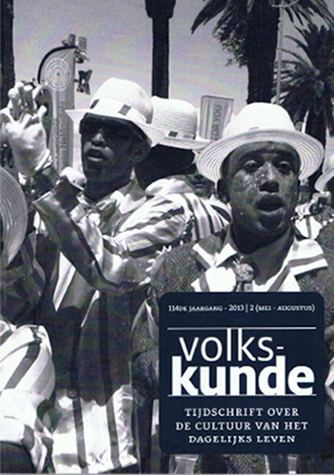 In the previous issue of Volkskunde a discussion dossier was opened about a report and a campaign of the King Baudouin Foundation: Alledaags is niet gewoon. 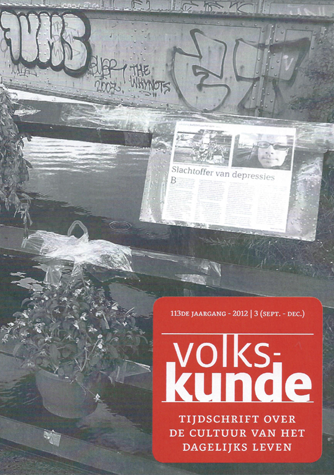 Reflecties over volkscultuur en samenleving (Everyday is not ordinary. Reflections on popular culture and society). We react to the contribution by Gust De Meyer and Ruth Soenen (Volkskunde, 104 (2003), p. 195-218) to this debate. We point at a series of contradictions and mistakes in their commentary. 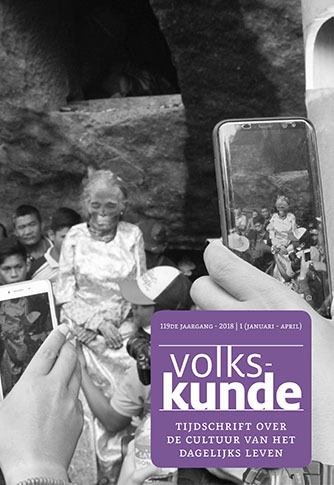 We question the destructive criticism on the alleged Marxist goals of the campaign, on the so-called “triangular thinking” in the report or on the supposed lack of vision of the authors, of the King Baudouin Foundation or of the participants in projects sponsored by the campaign. Ad authors of texts in the report we react to the statement, repeated in their English summary (p.264): “It is noteworthy that in the whole text of ‘Plain things are uncommon’ not a word is said about… the mass media (…) everyday use of the media, and also of semi-public means of expressions, offer opportunities for emancipation. All this is simply ignored by the authors of the ‘Plain things are uncommon’ report”. In our contribution we show that this is not correct. Furthermore we defend the fact that careful (theoretical an methodological) reflection and a critical attitude as a scholar are very important when dealing with sources, stories and discourses, in particular in the study of popular culture. Since Jan Bols in the course of the 18th century recorded the Werchter Twelfth Night play (Werchter is a village in the neighbourhood of Louvain), several generations of folklorists have been interested in it. They always dealt with the play in accordance with the time and the society they lived in. While Jan Bols was completely under the influence of the arising romantic ideas of the time, folklorists after him gradually kept a distance. Most of them, however, still considered the Werchter play as an intact relic of a far and glorious past. Even attempts in the late seventies of the 20th century to approach the play in an objective and scientific way, were not free of this “original sin of folklore”. Yet in this article, based on a small inquiry, the spheres of interest of modern folklorists in connection with the Twelfth Night play, such as a context, production, meaning and functions are dealt with. From this it is obvious that not only several generations of folklorists had a context-linked interpretation of their own of the Twelfth Night play, but also at the same time appropriated the play in a way of their own and ascribed a subjective meaning to it. Folklorists though, may still focus their attention on the origin of the Twelfth Night play, provided they work in a critical and careful way. Furthermore here too prevails that the origin is more important than the age of the play itself. In this article, A. Roeck explains how he became K.C. Peeters’ first student to write, under his guidance, the dissertation that led to his Master’s Degree. The subject was the collection and study of oral legends. Peeters insisted on using new working-methods. After his graduation K.C. 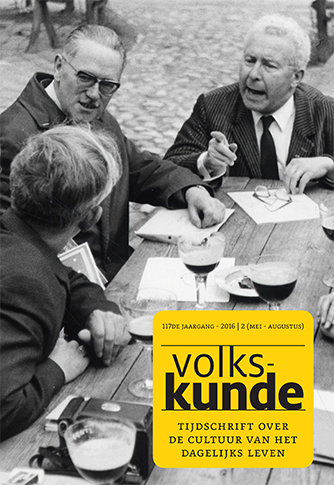 Peeters asked Roeck twice to present his results on the ‘Vlaamse Filologencongressen’ of 1953 and 1955. Again under K.C. Peeters’ guidance Roeck wrote his doctor’s thesis. For all the guidance and help (spiritual and concrete) he was given, Roeck thanks posthumously K.C. Peeters. K.C. Peeters belonged to the most influential folklorists of his generation. He had great many connections abroad, also in The Netherlands. 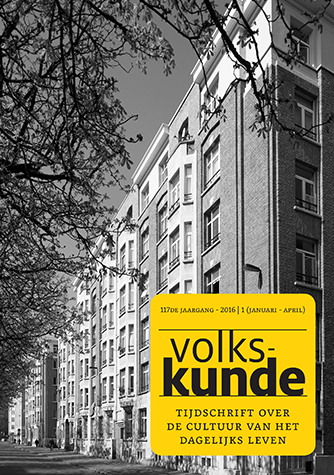 In the late nineties of the 20th century a cycle of novels (several volumes) was published by the Dutch novelist and folklorist J.J. Voskuil, in which he puts the cooperation of Flanders and The Netherlands in the journal “Volkskunde” in a different light. This cooperation would end in a violent conflict. The work “Het Bureau” (The Office) is a specimen of ethnographic fiction, a thick description of social reality with ample attention for the in scientific publications often neglected factors such as diversity of characters, idiosyncrasies and much more such things. But the background of the conflict was more complex. There was also a generation gap which occurred against the background of the nineteen sixties when – broadly speaking – the patronizing behaviour of the “fathers” was questioned. Anyhow so it was experienced by the heirs of 1960. 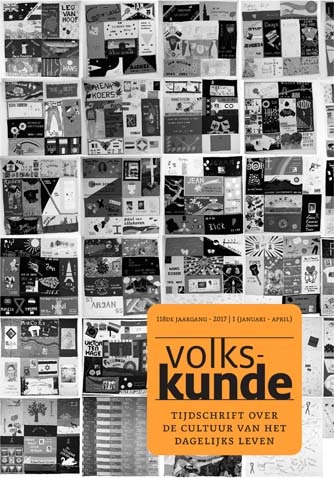 Voskuil was an exponent of the nineteen sixties, part of a baby boom generation that in a loud voice called to account the preceding generation. A black and white contra-distinction was created in which the older generation was literally put in the wrong camp. Fault in the war, fault after it. 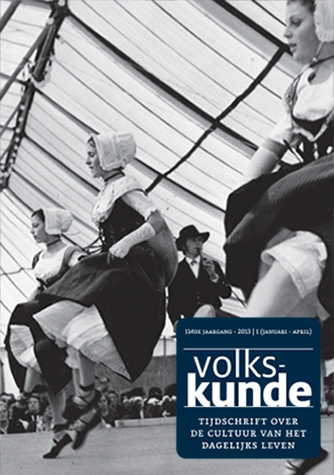 In July 2003, Jozef Van Haver, éminence grise of the folklore (study of popular culture) in Flanders and for many years member of the editorial staff of this review, was interviewed about K.C. Peeters. In this heart-to-heart interview, Van Haver relates in full about K.C. Peeters and his role in the field of folklore after 1945. At the same time, Van Haver involves himself in the analysis so that the interview can be read as the scientific testament of the professor emeritus. 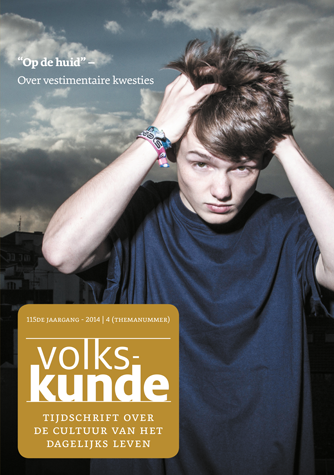 Van Haver goes more deeply into the Leuven tradition in the field of popular culture, K.C. 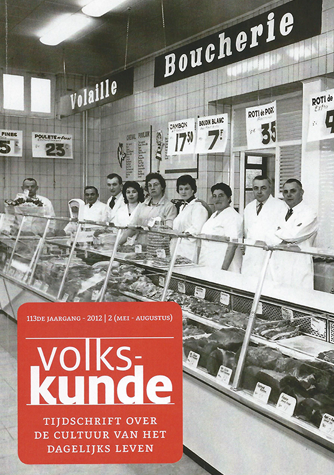 Peeters’ role and position, the review ‘Volkskunde’, the rift with the Netherlands in 1975, the Koninklijke Belgische Commissie voor Volkskunde (the Royal Belgian Commission for Folklore) and a lot more. In the archives of K.C. Peeters a few dozen manuscripts and typescripts of lectures were found along with 15 portfolios of correspondence in connection with these lectures. Some of the texts have never been published, others exist also or exclusively in printed form. From all these sources it has been possible to draft a chronological list of almost 200 titles. Reading this part of his archives completes our picture of how significant K.C. Peeters has been for the cultural life of Flanders, especially with regard to ethnology. He was invites to address various cultural organizations, local folklore associations and local historical societies, mostly in the province of Antwerp, but he also spoke at international congresses. Naturally, the subjects that he covered related to the various functions he held. Peeters was a teacher, a journalist, a professor, a curator of Antwerp museums, and the town clerk of the city of Antwerp. As a professor of ethnology for the greatest part of his life, he was first and foremost the man who personified ethnology in Flanders and who put Flemish ethnology on the international map. Roughly 60% of the papers dealt with distinctly ethnological subjects but even in the other lectures, when he typically spoke about museums, onomastics, heraldry, local and church history, he seldom withheld references to the themes and theories of his beloved discipline. He was the official speaker at exhibitions, commemorations, inaugurations, retirements and funerals, and was a favourite after-dinner speaker in lots of societies. He was renowned for his sense of humour, his improvisational talent and for the quality of his story-telling which was gripping and richly anecdotic. Yet, at international symposia and conferences he spoke with scientific earnestness. The study of his papers and speeches yields a survey of his views on the essence, the methods and the aim of modern ethnology as a science. K.C. Peeters contributed to the scientific prestige of Flemish ethnology not only by the hundreds of articles he wrote but also by the papers he presented and the interventions he made at meetings and congresses at home and abroad. 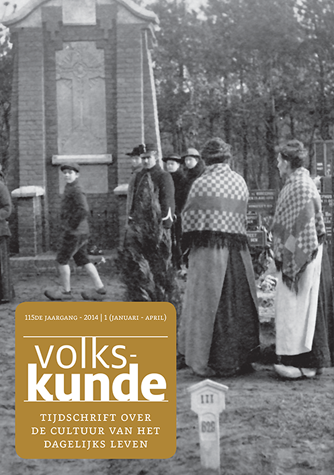 His many appearances before the general public as an “ambassador of ethnology” have substantially widened the interest, knowledge, and the appreciation of folk culture in Flanders. In these biographical sketches the author particularly discusses K.C. Peeters’ activities outside folklore. K.C. Peeters lived in several worlds. Between 1923-1933 he was a primary school teacher in his native village of Wuustwezel. Until the Second World War he was active as a journalist, and from 1933 also as editor in chief of the “Morgenpost” in Antwerp, then of “De Standaard” in Brussels. During the war he was secretary of the Antwerp mayor Leo Delwaide; he also got an appointment as curator of the municipal historical Antwerp museums in 1943. At that time he started his best known work “Eigen Aard” (Our True Character). In 1947 he became deputy chief clerk and in 1950 chief clerk of the city of Antwerp. 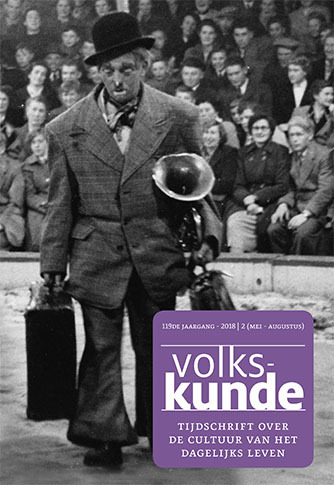 In this contribution we especially focus on his life as a journalist before in the Second World War, as well as on the eventful period between 1940-1950 in the city of Antwerp. In particular, less known aspects and historical evidence of his life are mentioned. The data on the basis of this contribution originate from letters, texts and notes (some 13,000 documents) which K.C. Peeters privately kept. After drawing up an inventory and classifying, they now constitute the “K.C. Peeters Archives), a rich source usable for research work and publications. In 1937 Mgr. P. Ladeuze, magnificus rector (vice-chancellor) of Leuven (Louvain) university, put in charge prof. dr. Jan Gessler of giving “Voordrachten over Vlaamse Folklore” (Lectures on Flemish Folklore) for the licentiate students in the Philosophy and Literature faculty. Another illustrious folklorist, Maurits De Meyer, received support from prof. dr. H.J. van de Wijer, chairman of the department Germanic Philology. Thus a painful problem originated concerning competence. It was even discussed on rectorship level. With the appointment of dr. K.C. Peeters as an unpaid assistant substitute of prof. dr. J. Gessler in 1946, the state of tension quite gradually changed. In a relatively short time dr. K.C. Peeters succeeded in making the course “Folklore” into an optional subject of full value with as a result that quite a lot of students took his classes and finished with a licentiate’s thesis on folklore.